My name is Dennis Hahn and I’m a cocktail enthusiast from Portland, Oregon now living in San Jose, California. I have been mixing cocktails at home and for my family and friends for a little over 20 years, although I’ve been more of a student of mixology for about the last 10 years. While I have infused, muddled, flamed and hunted down even the most obscure ingredients, I always appreciate a well-made cocktail made by hand with high-quality ingredients. 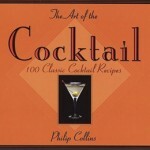 My interest in making cocktails was inspired by the book “The Art of the Cocktail: 100 Classic Cocktail Recipes” by Philip Collins, which was given to me as a gift almost 20 years ago. Being from a design background, I was taken with the book’s beautiful photographic presentation of the drinks—each one looks like a work of art. After making all of the interesting looking classics in the book, I started to branch out by making my own drinks based on some of the more innovative concoctions being made at Portland-area bars such as Zefiro and Saucebox during the 90’s. Not having the actual recipes, I would swipe bar menus and try to reverse engineer them at home. Sometimes I’d even improve upon the originals—at least according to my taste! Since then, I have been committed to learning the art of the cocktail. By day, I’m EVP of Brand Experience of Liquid Agency. Some of Liquid’s work has been in the wine and spirits category. I am also a seasoned presenter and have spoken at many conferences and conducted numerous seminars, including moderated marketing sessions for the Oregon Wine Industry Symposium in 2008 and 2009. I have also spoken at the inaugural CocktailCamp PDX in Portland on April 11, 2010. Mixology is a personal passion of mine, so if you have a branding project or are looking for a speaker for your spirits or wine conference, send me a note. Viva la Cocktail! Congrats for getting this up and running, Dennis. It looks great! 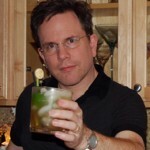 And for anyone reading this, take my word, these cocktails are fantastic (especially when you’re fortunate enough to have Dennis mixing one for you! ).